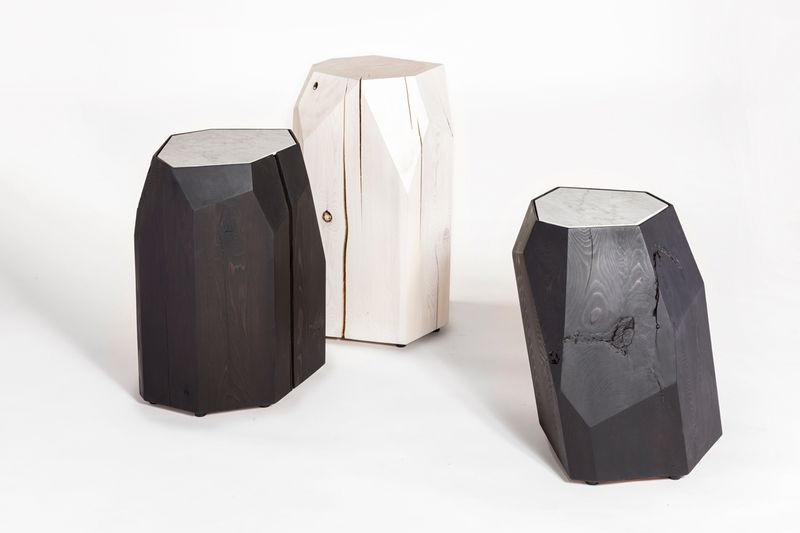 Cast-off cedar logs are given second life as a crystalline form. 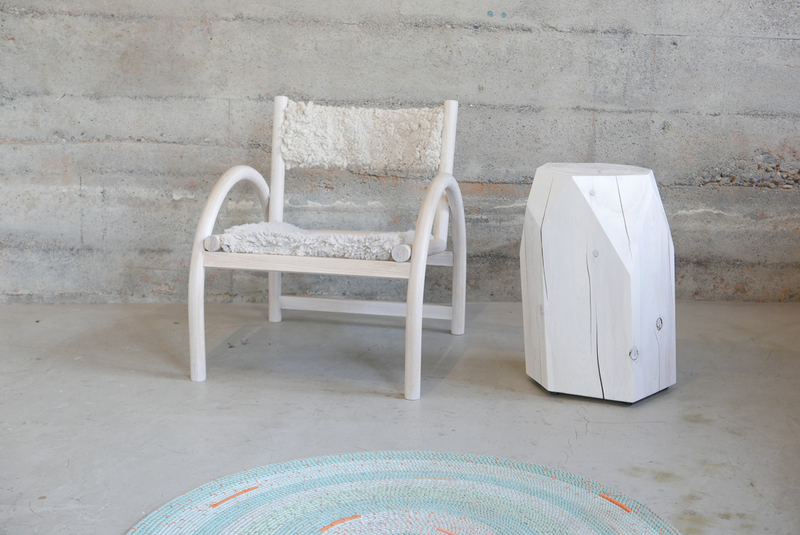 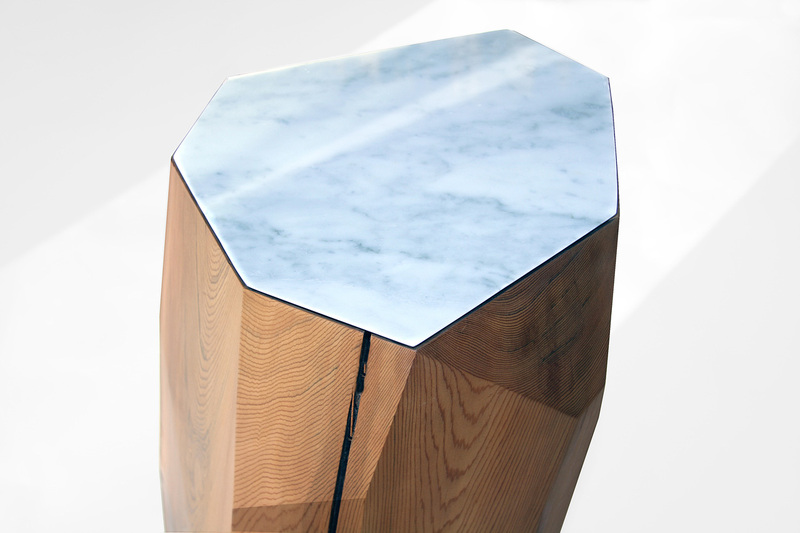 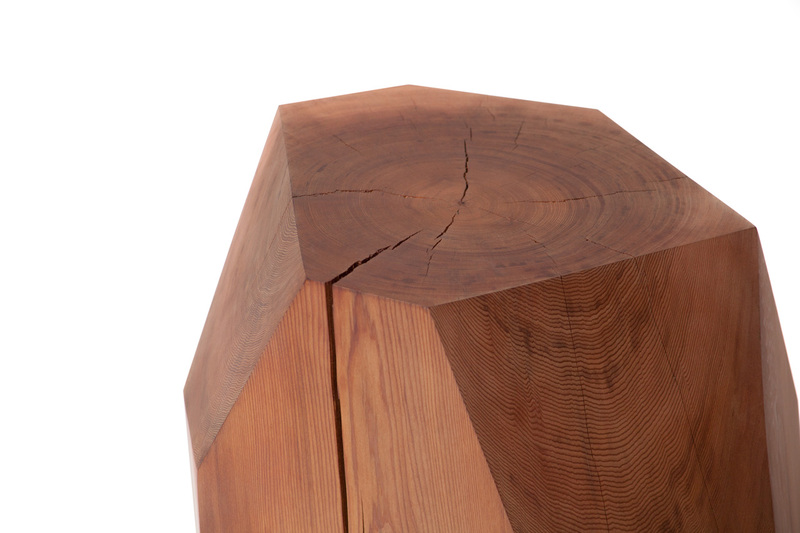 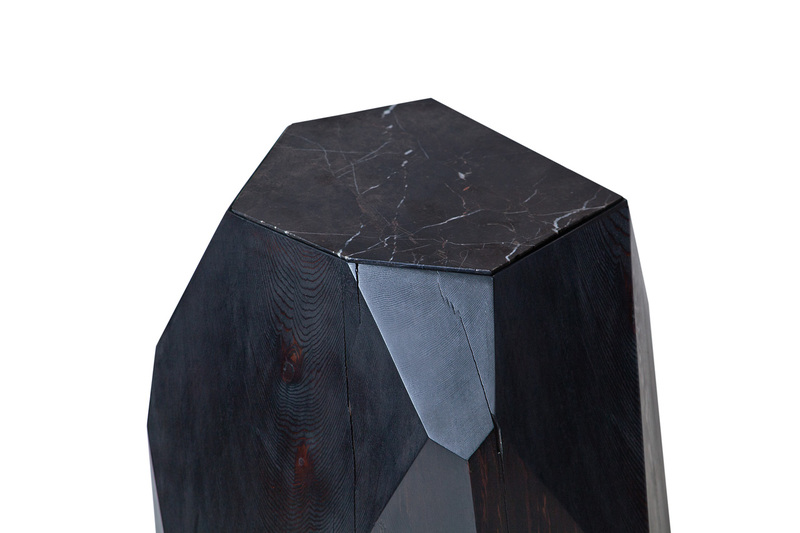 The natural beauty of reclaimed wood is harnessed in this side table and sculpture piece where nature informs design. 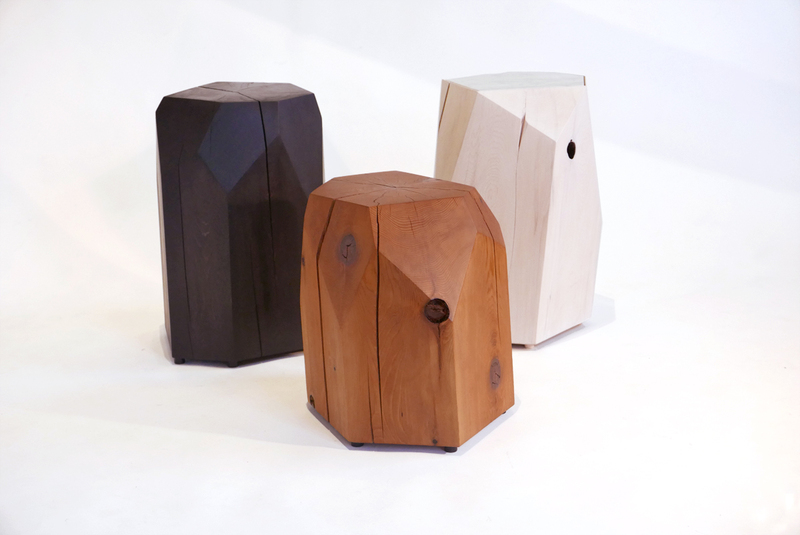 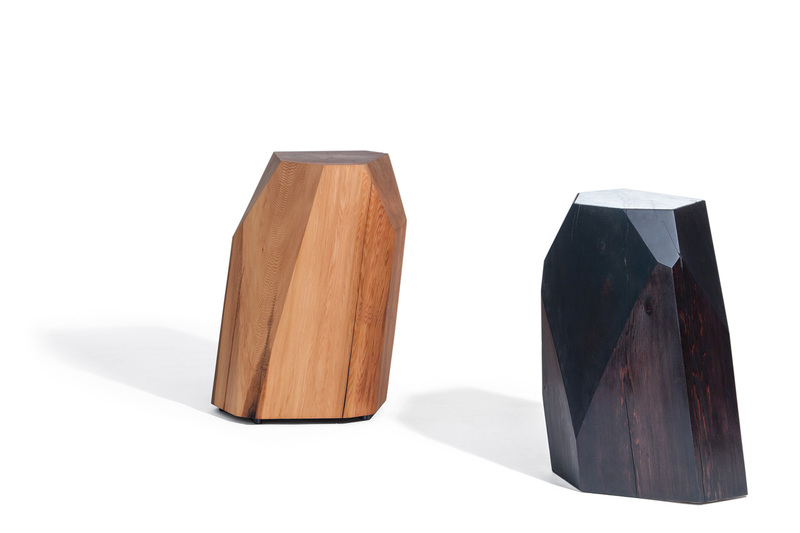 Each piece is hand-shaped and faceted based on the different characteristics of the log used, and variations in wood grain. 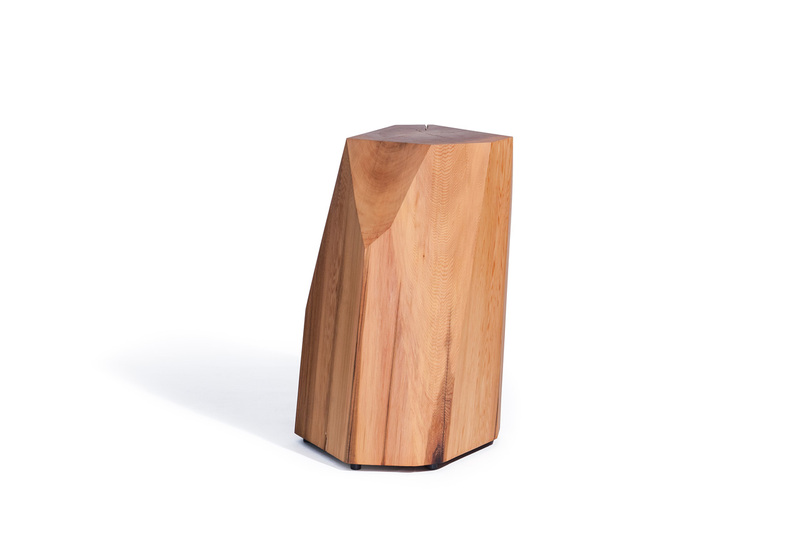 Top surface and finish further ensure that no two are alike. 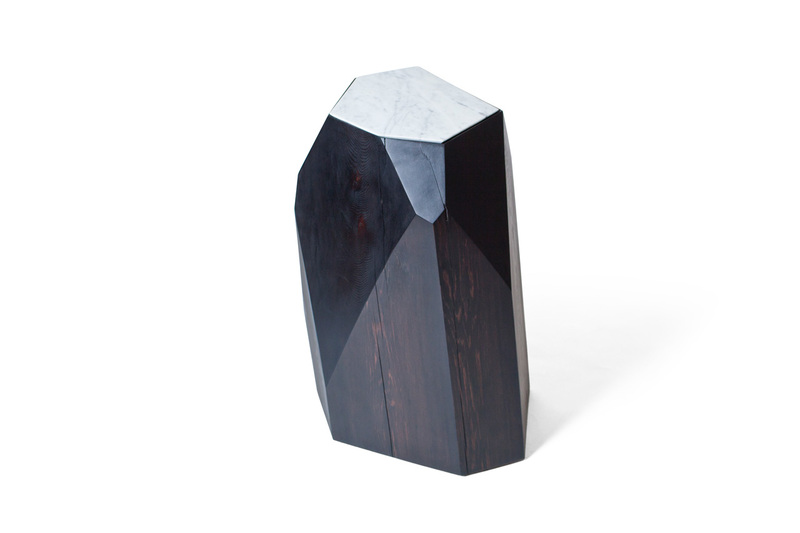 Left to weather outdoors, this piece will acquire a natural silver finish.